You are here: Home / Pregnancy / Does an Epidural Hurt? An epidural is a process that you probably have a lot of questions about. What does it it feel like, look like — does it hurt? 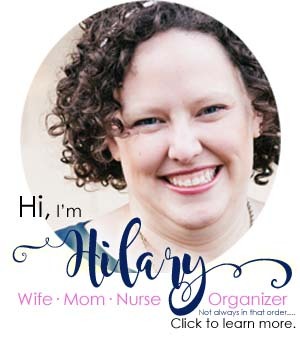 Let an L&D nurse of 17 years, plus the recipient of 3 epidurals, answer your questions! Does the process of putting it in hurt? Does the epidural hurt coming out? 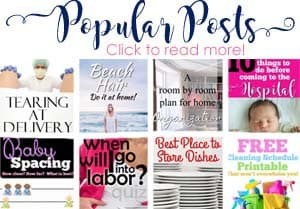 This post is part of my series on labor epidurals so don’t miss that page that has ALL the links to my posts on it! If you’re spending a lot of time looking up info about labor? — I have one spot to help you learn it all, fast! How bad do epidurals hurt? Getting the epidural put in is the most painful part of the epidural, most often. I have a whole post about the process of getting an epidural during labor. But, let’s do a quick review here. The doctor will feel your back — he may push quite hard to find the bones and the landmarks that show him where to go. The doctor will numb your skin on your back. This feels like a sharp bee sting and may last for a few minutes, at the most. Then, you will feel a lot of pressure as he is putting the needle in. It won’t feel sharp. I always think it feels like the doctor is pushing his pen on my back very hard. 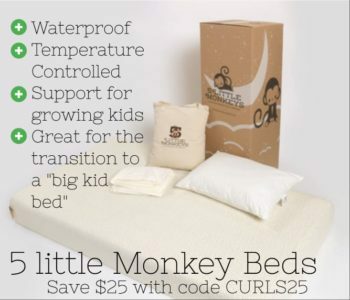 You will also need to curl-up around your baby during this process. It is vitally important that you NOT move during this time. Some people find that position painful while in labor. What does an epidural feel like? When the epidural is flowing in, you will just feel cool fluid on your back sometimes. The process of the epidural medicine going in doesn’t hurt. You will also have a large amount of tape on your back. That may pull and tug at times. If you’re wondering how long an epidural lasts << that post will answer your questions! What does an epidural look like? An epidural needle looks much scarier than it actually is. Keep in mind that most often the doctor isn’t using much of that needle at all, maybe 1/3? BUT, if you want to see one — you can check right here. The other good news is that it’s humanly impossible to see the needle while he puts it in. For me, they hurt very similarly to the IV poke. A lot of people think they hurt less because they’re in so much more labor pain when the epidural is placed. They ignore the back pain more. Also, you can’t see your epidural placement, so that helps in that area as well. Uterine contractions feel very similar to stomach cramps, or the cramps you feel when you’re getting your period. I have a whole post on what do contractions feel like? What does the epidural do? The epidural is designed to take away about 80% of your labor pain. 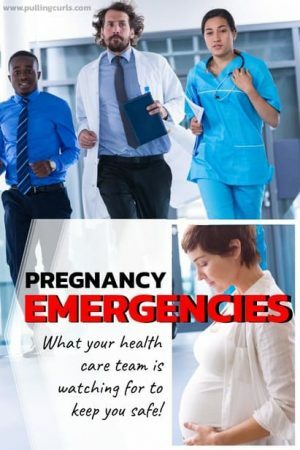 This post talks all about if labor still hurts with an epidural. The most often occurring one is a spinal headache, but I talk about all of the side effects in my epidural in labor post. Does an epidural hurt after birth? As far as the epidural coming OUT. It feels like us ripping a lot of tape off your back. The actual epidural catheter coming out doesn’t hurt at all, most often. Some women feel like their back is a bit bruised. When the water in the shower hits that spot, it will ache, similar to your IV spot. 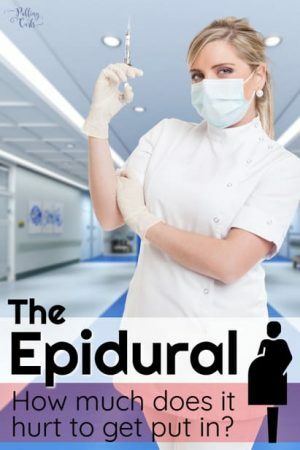 Epidural during Labor — the procedure & more. Available — no more having to fight traffic, and find the right classroom. It’s here just waiting for you. I was in labour for 8 hours and dilated only 3 cm extra. That’s when I decided to get an epidural, I was exhausted from 36 hours of prelabour contractions, my pain was excruciating and I knew my body could’t handle any more pain. I literally didn’t feel a thing of the placement of the epidural, because my contractions were so intense. Keep in mind that you still get contractions during the process, but you must NOT move at all! That is actually the hardest part of it. Once in, I was completely pain free untill after delivery. It made it harder to push, because it’s hard to use numbed muscles, but i would definately do it again. This is a good experience — thank you so much for sharing!